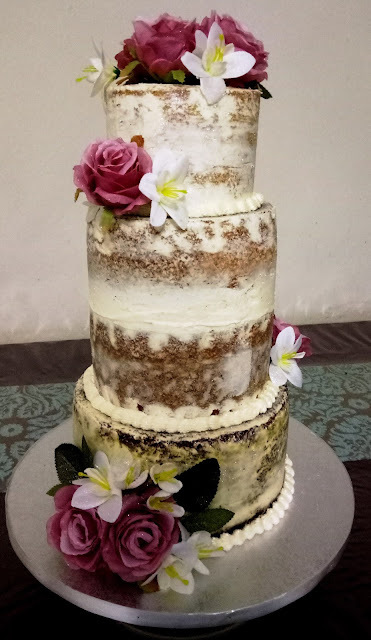 Sugarcraft wedding cake made from fruit cake matured for a month and the bride had requested just two flowers with chocolate circles and dots. 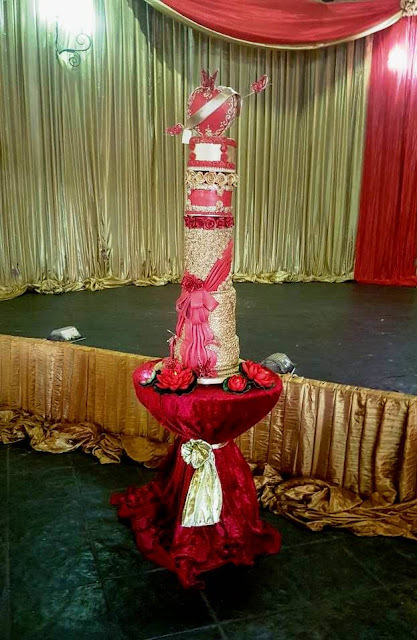 The bride and groom wanted traditional wedding cake and theme was of traditional pots that is unique with geometrical patterns of squares, diamonds and triangles that are used in pots and baskets weaved by artists. 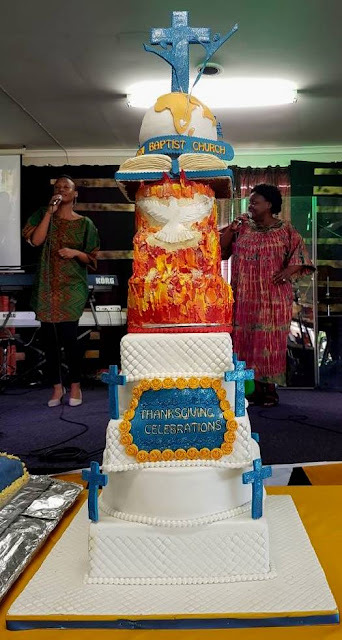 I baked the fruit cakes and then carved the pot and filled it with sugarcraft roses and quills and guinea fowl feathers were added to give it an authentic african setting. 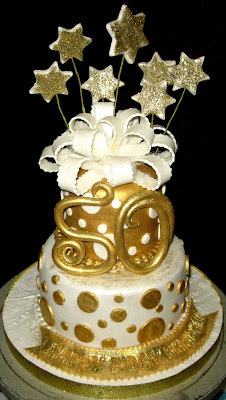 I used five different designs and loved the challenge to be as close as I can to the traditional theme. 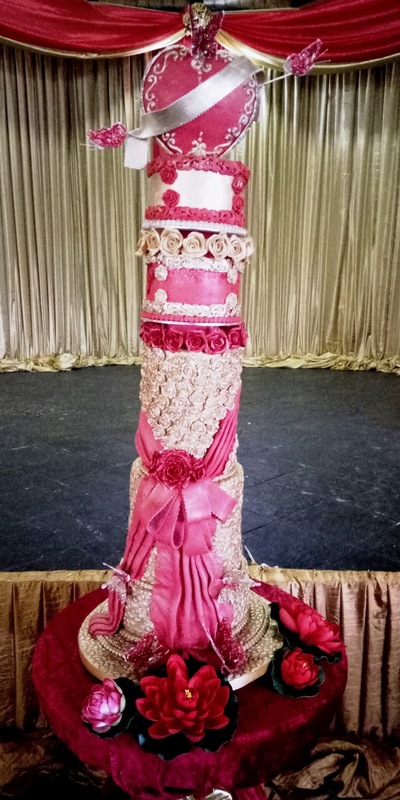 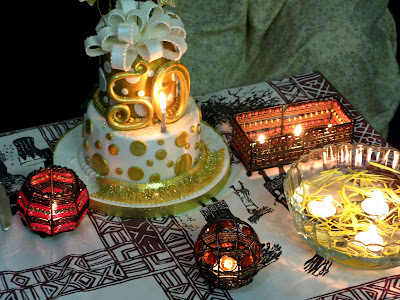 This cake was a gift from the bride's sister and she came up with a unique theme of four weaved baskets over one another and be presented in the form of a wedding cake, that shall have a silver wedding theme, with a drape flowing down from the top cake to the bottom cake with few silver scrolls on the top. 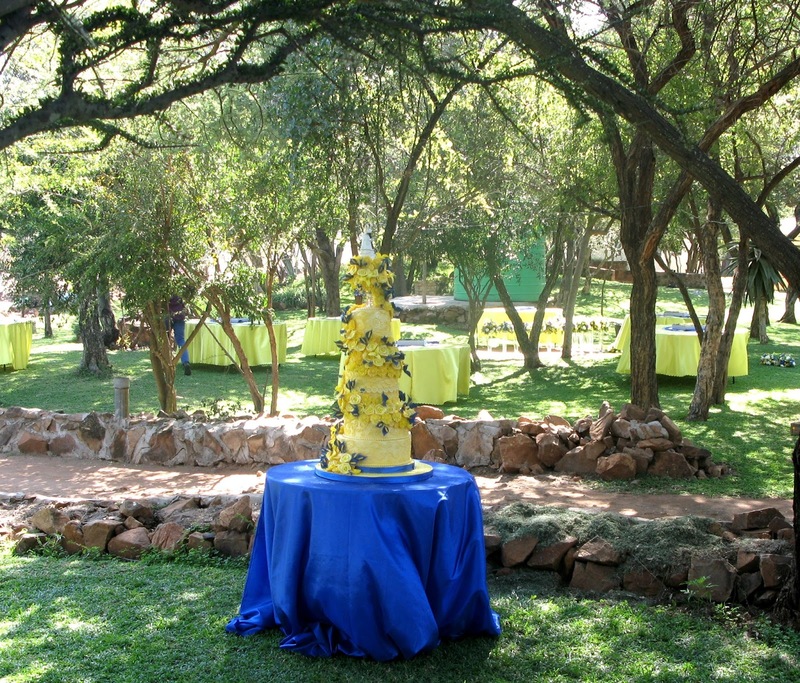 All cakes were fruit cakes, which I made and carved them into rectangular shapes with each cake skewed on top of each other and gave form to the theme as suggested for the wedding. The bride liked the cake and it made me feel happy to have satisfied one of my very good client and a friend. 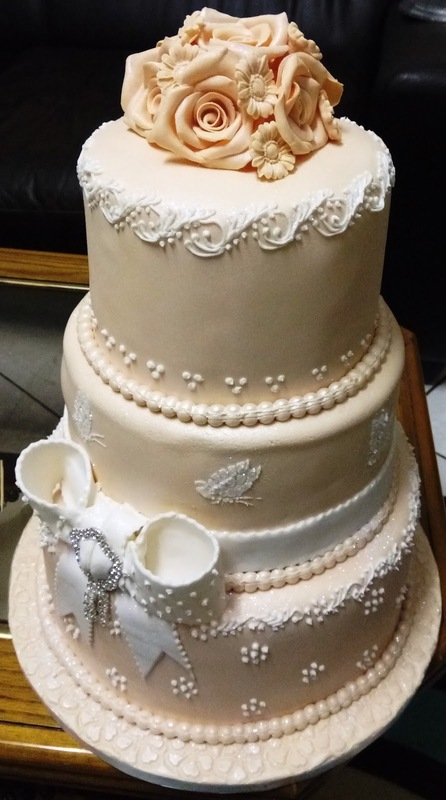 This wedding cake was made for a bride who wanted a simple white cake with roses and pearls dots. 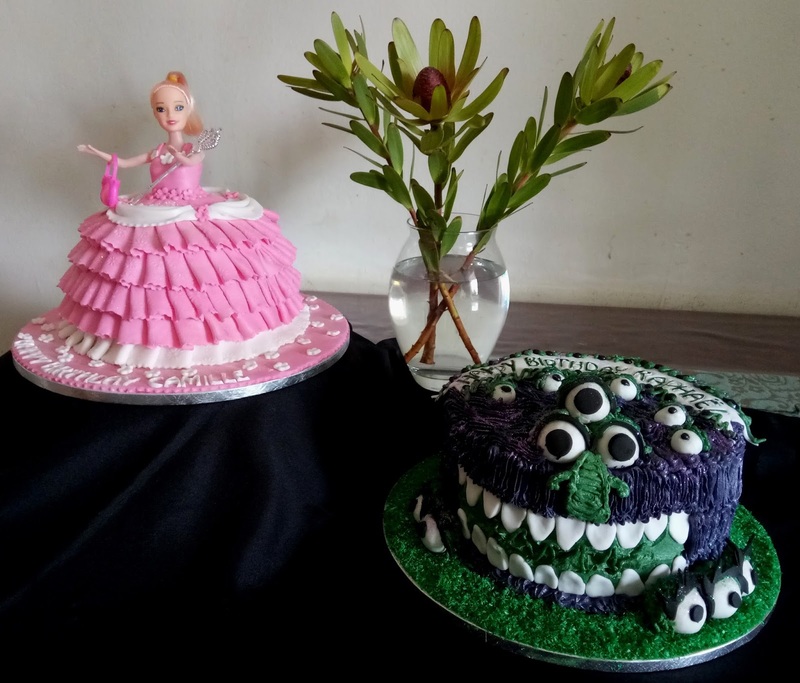 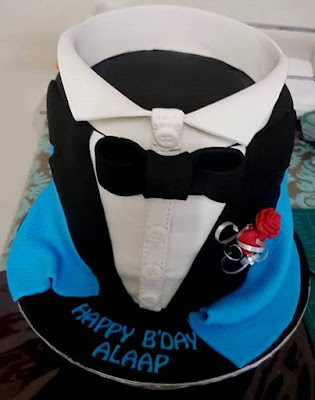 On this day, I also celebrate eight years of blogging and my journey continues in the art of sugar. Thank you all for supporting me and encouraging me in my journey. 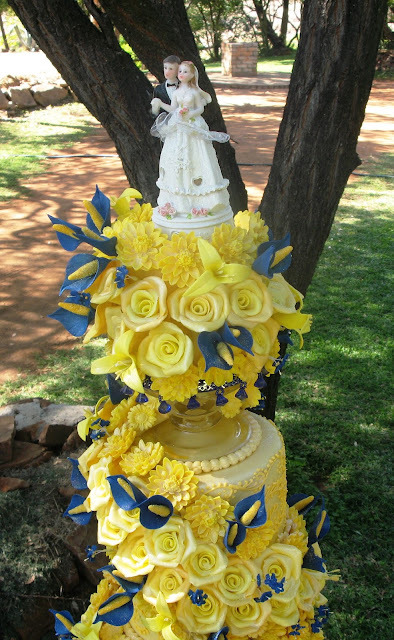 This wedding cake is one of the cherished work that I loved to labour with joy. 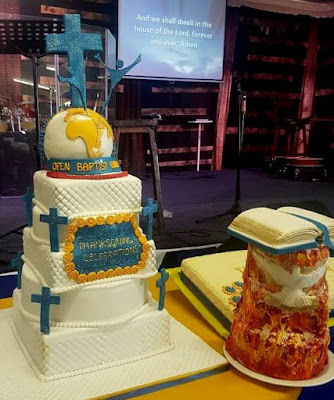 For some time, due to work, I am not making cakes regularly but when the request came for this cake, I loved the theme and design and made this cake of yellow and blue hue. 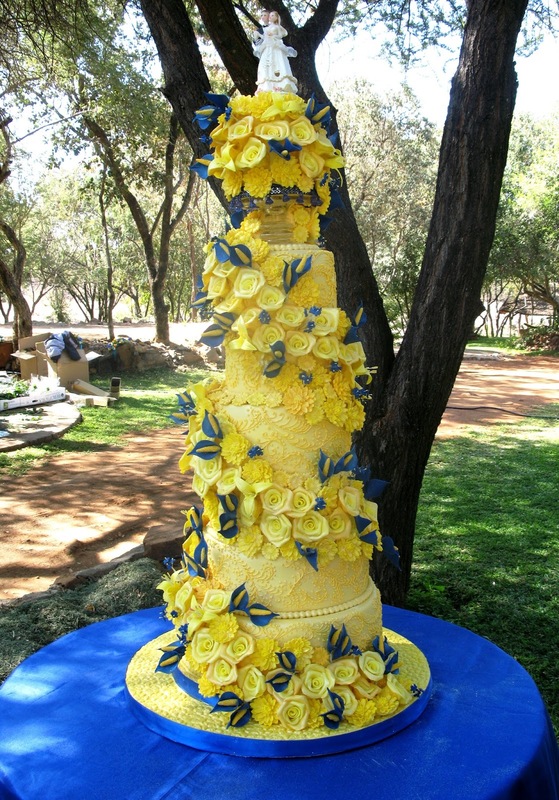 Baking and maturing seven layer fruit cake and making of approximately 150 roses with approximately 150 lilles and 200 other flowers to give it a visual effect was time worth spent.The wedding was to take place in a farm and the heavy cake had to be transported in two parts and assembled there. Whew! But it was worth seeing the smiles and whatsapp msgs and smses of content.